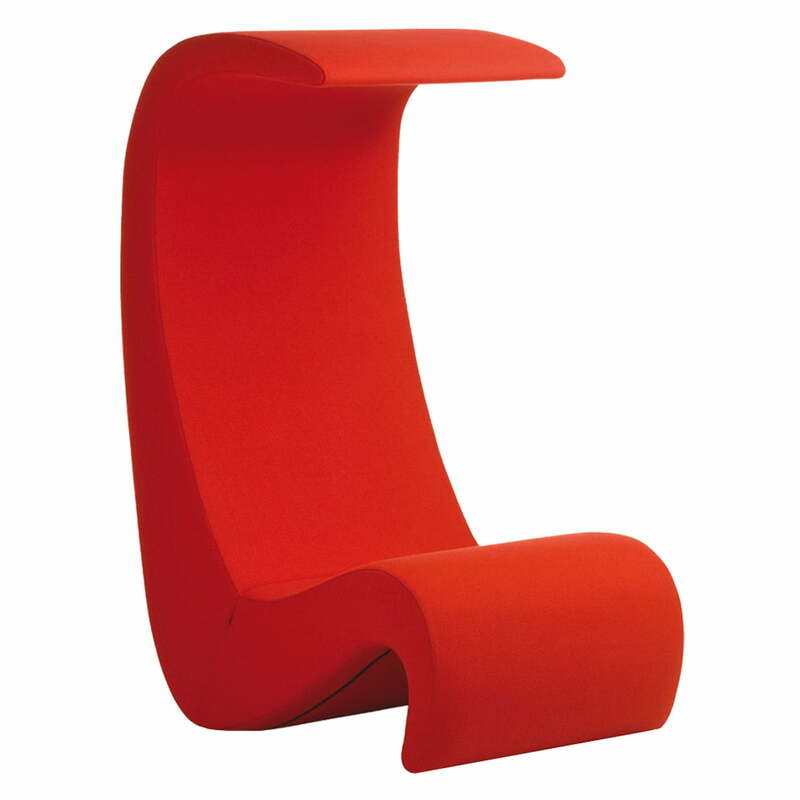 The Amoebe emerged in 1970 in several editions for Verner Panton’s famous Visiona installation. The Danish presented revolutionary new living concepts there, which are still very current and even modern. 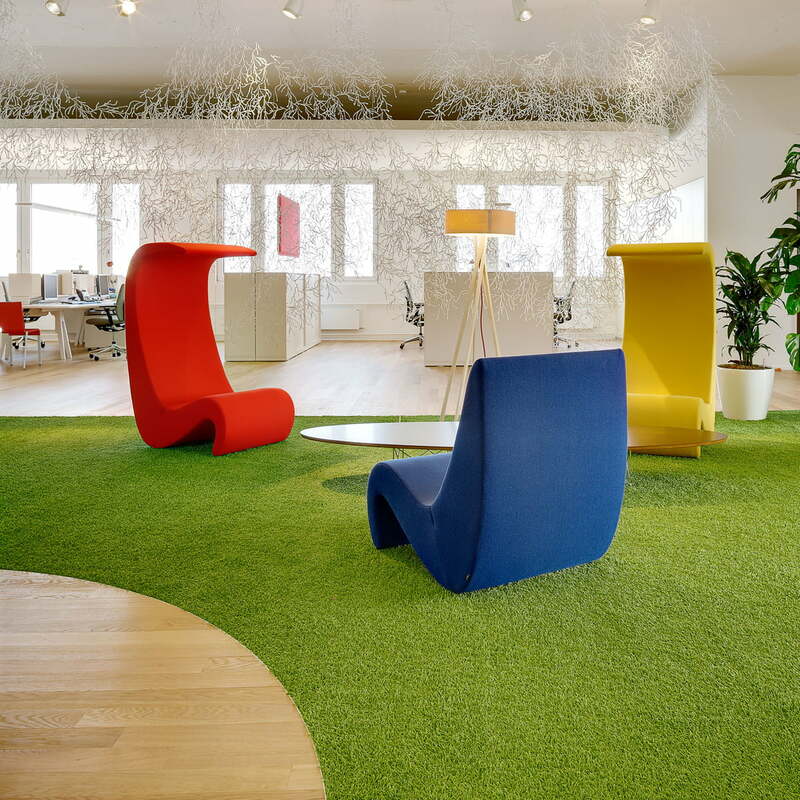 The name Amoebe shows that Verner Panton thought of living organisms in his one-piece, flowing chairs – Panton’s natural shape doesn’t know any aging. The Amoebe is a succeeded example for this type of ground-based lounge chairs and it embodies the happy-cheeky 70s. Conventional chairs weren’t desired anymore, it was about low, comfortable furniture to be used in many different ways instead. The flexible backrest of the Vitra Amoebe Highback shows up sculptural over its head and it forms a kind of canopy over the user. The Amoebe Highback armchair therewith transmits a feeling of comfort and retreat – especially in big, open rooms. Vitra manufactures the organic armchair of a laminated structure with foam cushions, which are coated with the sophisticated Tonus fabric by Kvadrat.